Shop online for 150 aerotech at discounts up to 43%. This Package Contains One G-class G80-7T Blue Thunder Single Use Composite Model Rocket Engine Designed by Aerotech. 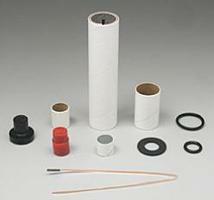 This Model Rocket Motor Reload Kit Includes One G-class G64-7W Reloadable Motor Systems for RMS 29/40-120 Motor Hardware, Designed by Aerotech. Federal Law Prohibits the Sale of This Product to Persons Under Age 18. Package contains 1 Aerotech G Size Reloadable Model Rocket Engines. This is the G76-7G 29mm Reloadable Motor System from AeroTech Consumer Aerospace. For use in RMS 29mm E, F, G Motors. Package contains 1 Aerotech Size Reloadable Model Rocket Engines. 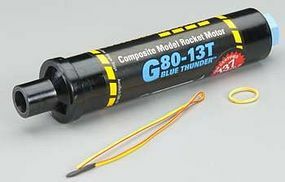 This Package Contains One G-class G80-10T Blue Thunder Single Use Composite Model Rocket Engine Designed by Aerotech. Blue Thunder propellant formulation produces a bright violet-blue flame with a minimum of exhaust smoke. This Package Contains Three F-class F39-6T Model Rocket Reloadable Motor System Reload Kit for Aerotech RMS 24/40 Motors. Federal Law Prohibits the Sale of this Product to Persons Under Age 18. Package contains 3 Aerotech F Size Reloadable Model Rocket Engines. This is the G80-13T 29mm x 124mm Single Use Composite Model Rocket Motor from AeroTech Consumer Aerospace. This is a three pack of Firstfire Jr Igniters model rocket igniters from Aerotech. This is the E20-4W 24mm x 70mm Ammonium Perchlorate Composite Propellant Model Rocket Motor from AeroTech Consumer Aerospace. Package contains 2 AeroTech E Engines. This is the E20-7W 24mm x 70mm Ammonium Perchlorate Composite Propellant Model Rocket Motor from AeroTech Consumer Aerospace. Package contains 2 AeroTech E Engines. 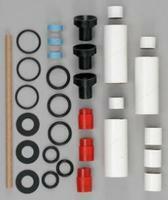 This is the Aerotech Consumer Aerospace F-class F24-7W Reload Kit, 24mm Reloadable Motor System. For use with RMS 24mm motors. Package contains 3 AeroTech F Engines. This is the G76-10G 29mm Reloadable Motor System from AeroTech Consumer Aerospace. For use in RMS 29mm E, F, G Motors. Package contains 1 Aerotech G Size Reloadable Model Rocket Engines. This is the Aerotech Consumer Aerospace G-class G77-4R, 29mm, Single Use Motor. Distinctly different form its propellant relatives, Redline provides unique visual and thrust characteristics for larger airframes and performance oriented flyers. This is the F32-4T 24mm x 95mm Single Use Composite Model Rocket Motor from AeroTech Consumer Aerospace. Package contains 1 AeroTech F Engine. 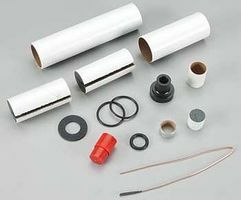 This Package Contains One G-class G40-4W White Lightning Single Use Composite Model Rocket Motor Designed by Aerotech. For use in a single-stage rocket, this engines looks and sounds like an actual rocket motor being used. This is the G53-5FJ 29mm Reloadable Motor System from AeroTech Consumer Aerospace. For use in RMS 29mm E, F, G Motors. Package contains 1 Aerotech G Size Reloadable Model Rocket Engines. These are the Aerotech Consumer Aerospace Econojet F42-4T, 29mm, single use Model Rocket Engine. Package contains 2 Aerotech F size motors.